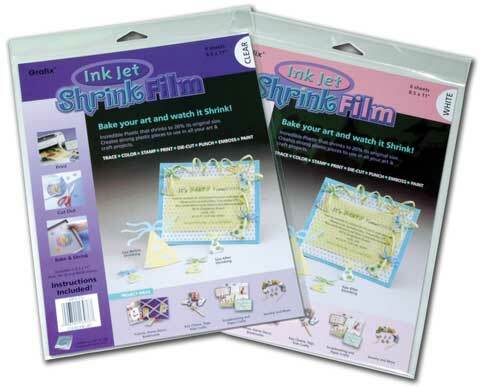 The same great product as the original Shrink Film, but compatible with ink jet printers. Print designs onto the Shrink Film, cut out and bake to create one-of-a-kind gifts and accessories. Available in packs of six 8-1/2" x 11" sheets.